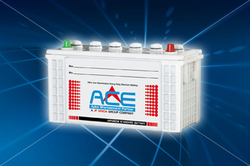 Manufacturer and trader of batteries. Electrolyte level indicator cells are fitted with easy-to-read electrolyte level indicator. Microporous ceramic vent plugs permit free exit of oxygen and hydrogen generated at the end of boost charging. Rugged tubular positive plates are adept in enduring severe stresses of expansion and contraction. Heavy-duty, corrosion-resistant alloy positive grids to enhance cyclic life. 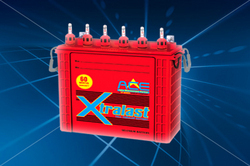 Lower internal resistance for high-discharge performance. Instacharge for excellent charge acceptance. Rugged Flap on terminal protector to avoid shorts. Factory-charged, lightweight, explosion resistant and environmental friendly. High Performance Positive Plates fabricated with premium oxide. 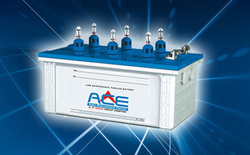 Superior performance in high vibration increases battery life and recharge acceptance. Microprocessor controlled curing for maximum adhesion and cohesion. World class Separator Technology ensures smooth absorption of acid, rendering it vibration resistance, maintaining steadiness for a longer time. 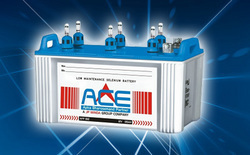 To ensure High Quality and Reliability, Ace Batteries are 100% tested on line for voltage, capacity, seals (glue and /or heat seal), and all vents are 100% visually inspected during the final assembly process. Synthesis Cellulose/Polyethylene pocket type separator glass mat. High Power Density through accumulated experience in high technology. Negative Plate with Premium Multi-Expanders to optimize plate storage capacities and output performance. Microprocessor Controlled, curing for maximum adhesion and cohesion provides stability for a longer endurance. Multi premium alloy framed Radial Positive and Negative Grids are micro processor controlled cast to an exact tolerance including size and weight. Computer Designed Grids for maximum current flow with less chance of separator punctures. High Performance Positive Plate produced with specific premium oxide. Internal Glass Mat provides additional stability to the positive plate during excessive cycling or deep discharges. Precision Fit container Core to match overall consistent cell size for a secure fit and guard against vibration failure. 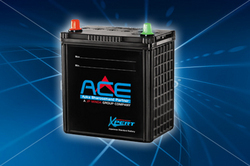 Microprocessor controlled, MOSFET based Technology provides a rugged power backup. 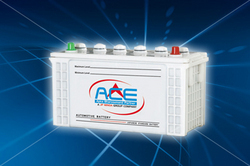 WIde input voltage range provides proper battery at low input voltage. Highest charging current in its class. Inverter to mains changeover at zero crossing.